You should appreciate your garage door and give it more credit. 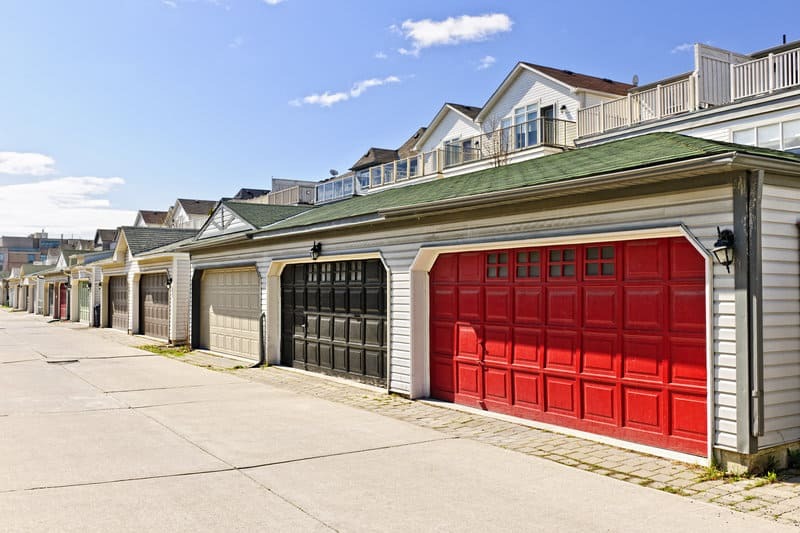 Believe it or not, garage doors affect your home’s value, increasing or decreasing its resale price in the market. As a matter of fact, finding the perfect garage door can bring back about 98.3% in terms of ROI. With the changes made with garage door styles and options, now might be a great time to get a replacement. To help you in narrowing down the right garage door styles and options for you, here are some things you should know in scouting the right garage door styles for your home. First, consider the layout of the doors and their orientation with the garage. Consider the vehicles you have and the size of the opening to see if it fits well. A popular choice is the classic garage door. These open upwards in a sliding fashion. With these kinds of garage doors, space is not an issue. Classic garage doors are perfect in property areas that are spatially constrained, posing the least amount of disturbance to neighbors. Carriage doors are also great garage door styles. The usual opening setup for these types of doors is of the swing-out variety. With these, you get the aesthetic of having a sort of barn or stable. This is rather rustic and stylistic for your home. While notably lesser in popularity, a carriage style garage door is still an attractive option. Each house is different. Some houses carry a modern aesthetic while others are rustic, log cabins. They each have their own styles, some more popular than others. The same is true with garage doors. Remember to go with the general design of the home before picking a garage door. For example, going for a traditional style with a matching wood grain is perfect for a timeless feel on your home. These are still popular and may appeal to a home that also has the same traditional aesthetic. If your home is leaning towards the modern and contemporary design, try a contemporary garage door to match with it. Modern garage doors with steel sheets and sleek black metal would work well in this case. Along with the style and aesthetics, the configuration of the garage door is another that you should consider. You must consider convenience and function. One of the common door configurations is the single bay door. Easy to use due to its size and easier to control, single bay doors are perfect for areas with cold climates or for a subtle appearance to fit your home. It is also a practical choice as it is easier to negotiate when the door opener fails. Another door configuration for your garage is a double door. This is perfect for wide garage openings. As these kinds of garage doors are capable of raising or lowering all at once, large vehicles find ease in traversing in and out of the garage. Double doors are among the garage door configurations that hold the most variety. With this in mind, it is easier to find various kinds under this door configuration. Whether these are decorative garage doors or otherwise, the materials used in their make bring more depth into considering the type of garage door to pick. Aside from appearance and design, you will now consider how to maintain them to last you longer. Wood is one of the more common materials used for garage doors, alongside steel. Its popularity is high due to the charm it exudes in its natural state. Using its natural grain and shade, there is little to no need for paint and works to match well with any home. One thing to remember about wood is that it is prone to chip and age as time passes. To maintain its pristine condition, the doors need repainting or refinishing at regular intervals. Steel doors are also a great option, perfect when you prefer minimal maintenance due to its durability. Painting is also easy to match and execute. The only problem you will have is with how it will dent due to massive trauma. Garage door openers reduce the hassle with an automated system with a remote control system to allow ease of use. With these motorized systems, they come in a variety of models that you can choose from. Depending on the door model you used for your garage, there is a garage door opener perfect for use. These garage door openers are notably among the most common. It makes use of a chain to push or pull a trolley that will raise or lower the garage door. The advantage of these models is in their affordability and reliability. Although an issue that you would contend with a chain drive opener is noise. Compared to the chain drive, this uses belts to move the door. Noise is not an issue with this model due to how quiet it moves. While a Chain Drive Opener is perfect for a detached garage, a Belt Drive works best with attached garages. Making use of screws as components for the opener mechanisms, it has the advantage of easier maintenance due to lesser moving parts. However, its downside will be the noise it produces is far more than the Chain Drive. There are other models present with a smart system or a direct drive system. Other specialized openers would be the ones used for carriage doors, configured to open swing-out garage doors. There are other features that you have to be aware of in checking out garage doors, increasing the variety and style among them. Insulation is among the few items that you should look into, something that you would consider in areas with fluctuating climates and temperatures. This is a feature to look for if you prefer to have a consistent temperature within the garage. Paintable garage doors are perfect for those that prefer to further customize their door design. This way, you should be able to put in the preferred color scheme and leave you without any issue on painting the colors you prefer. Windows are also another feature that adds depth to the style and design of the door. The varied shapes and sizes on these windows now feature an avenue for natural lighting for your garage. Get Garage Door Styles To Match Your Home Today! The variety and design options for garage door styles are boundless due to the numerous features they offer. By knowing what each of these doors offers, you can be sure that you will find a garage door that fits your home and your specifications. To help you with this, we offer a variety of garage doors that will be a great fit for your home. Contact us now and we’ll get you started in finding the right garage door for you.